"Remax Agent Julie Webbe was recommended to me when I began looking for a home in Jonesboro. She was very helpful in finding me the right home in my price range that met all my needs. It is obvious that Julie loves and enjoys her work which contributes to her success as a realtor. It was a pleasure working with her ... and I made a new friend!" "Julie was always there to answer any question(s) that I had. She was very patient from the initial offer to closing. I would and have recommended dealing with her when you are looking to buy a home." "Our experience with Julie Webbe was great! She is very professional, knowledgeable, and she made a stressful time in our lives a lot easier. With her help we were able to sell our home quickly and we could not have been happier with her services. 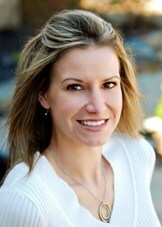 We would definitely recommend Julie for your real estate needs." "After two home buys and two home sales in a very hard hit housing market, I can honestly say Julie Delivers! Julie has the expertise in helping find that perfect house if you are buying, and she will help you with every step of the way. Also, if you are looking to sell your home you will not find anybody better in Jonesboro. She sold my two homes in the worst of markets in the shortest amount of time I thought possible, one and four months. I have all the confidence that Julie can and will do the same for you."